The concept of starting the design process with a clear target group briefing is as old as marketing itself, but had not been considered as a basis for a design competition within the hotel industry. In 2016, SINUS partnered with UBM – one of the world’s leading business-to-business (b2b) event organisers – to explore the potential of socially targeted hotel design. We discovered that the SINUS Meta-Milieu target group model provides both a clear framework for understanding various travelers’ differing needs and expectations and a source of inspiration for designers and hotel owners seeking to push boundaries and inspire delight in their customers. Driven by rising consumer culture, individualisation, and globalisation, societies worldwide have become more complex than ever before. SINUS has addressed this complexity by developing creative and scientifically rigorous approaches to grouping people and the societies to which they belong. The SINUS method of identifying target groups is grounded in the ethnographic analysis of everyday life and attitudes towards work, family, leisure and consumption. Exploring similarities and differences in people’s basic values, SINUS researches individuals’ future plans, ideas, interests, and orientation role models, and cross-interprets the findings with objective social variables such as income, education and profession. In an aim to make a multidimensional world easier to understand, SINUS has collated their findings to group people similar in their approach to life, value orientation and social situation, as well as those who demonstrate similar lifestyles and likings. "This is where we start the journey"
In a liquid social reality, keeping your target groups in view from the very start of the design process is key to winning and keeping their loyalty. With the help of SINUS Meta-Milieus, it is possible to bring a bit more clarity to what distinct target groups want and need. We began the target group development and hotel design process with a one-day workshop 6 months ahead of the main event. Creative participants and designers met in London to take part in a very illustrative briefing by SINUS-Institut on the social-psychological DNA of each Milieu. SINUS took a co-creation approach, in which knowledge transfer sessions were followed by creative working sessions in order to provide a clear understanding to each team. The challenge saw a pioneering collaboration between international design talents and social scientists, with five teams of designers and fit-out contractors each creating a room for a global ‘tribe’ characterised by shared values, lifestyles, and aesthetic preferences as identified by the SINUS-Institute social model. “The winner of the hotel concept competition was announced on November 23 2016, following individual presentations to the judges in front of the audience at the Sleep Conference, with the award going to the London team of global design practice Gensler for its innovative interpretation of local authenticity for the Digital Avant-Garde tribe. In a first, however, the judges decided to award a Highly Commended accreditation as well, specifically to Tokyo-based Mitsui Designtec for its beautifully crafted biophilic room design for the Established tribe. Designing for the status-conscious Established tribe, Mitsui Designtec will create a guestroom experience offering everything money can't buy, fulfilling emotional satisfaction, creating a family environment and addressing all five senses. Designing for Intellectuals, a tribe of culture-seekers and responsible connoisseurs, WOW will create a space in which the guest can make the most of the luxury of time, where it is possible to connect to the many layers of life. Designing for Performers who are high-achieving individuals and the economic elite of all the tribes, Studio Proof has created a fictitious member of the tribe, a driven professional who's also a pleasure seeker and early adopter. The designers have imagined her story. Designing for the “Milieu” of creative and individualistic global nomads, Gensler will create a guestroom experience to celebrate the experimental habitat and chameleon nature of the Digital Avantgarde tribe. Designing for experience-driven individuals who reject traditional social conventions, Aukett Swanke will create a completely immersive environment for the Sensation Oriented tribe. the 2016 ‘Science of Tribes’ Sleep Set challenge for professional designers, all 33 students on this year’s course are creating an experience for a tribe as defined by the Sinus Institute social model which identifies social groups based on the shared values, lifestyles and aesthetic preferences of their members. 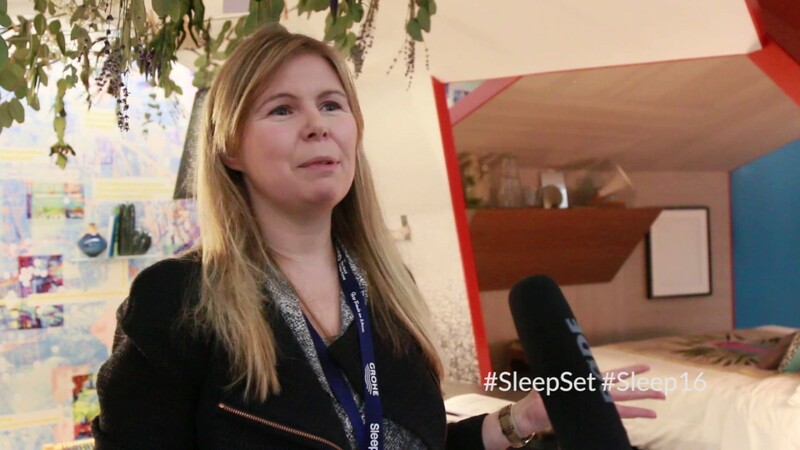 The competition has been translated into a brand new module by UWL involving coaching by Sinus as well as appraisals by Sleep, and will culminate in a display of artwork and student presentations before a panel of judges drawn from the Sleep Set designers on Day Two of the event. Reflecting on Sinus Institute`s new perspective of the world consumer tribes the so-called “Sinus-Meta-Milieus”, Studio appetite created a bespoke culinary concept. Five inspirational stories were developed and tailored to each of them by one of the most exquisite chocolate makers in the world – OIALLA chocolate.